Dylan Sprouse plays Camila Cabello's love interest in her new music video for 'Consequences'. 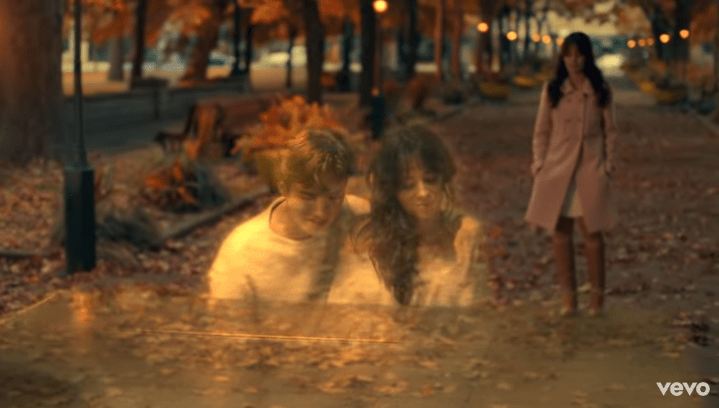 Camila Cabello is reflecting on a past relationship in her 'Consequences' video. 'The Suite Life of Zack and Cody' star Dylan Sprouse makes a "dreamy" appearance in the video. He plays Camila's ex-boyfriend and appears as a sort of "ghost" of exes past as she looks back on their relationship. "Loving you was young and wild, and free / Loving you was cool, and hot, and sweet /Loving you was sunshine, safe and sound / A steady place to let down my defences / But loving you had consequences," she sings. At one-point, Camila kisses Dylan's "ghost". "My videos are pretty much what the inside of my brain looks like. This is what it looked like in my brain while I was trying to move on. Thank you, Dylan Sprouse, for being amazing and wanting to be in my video," Camila wrote on Instagram about the video. Watch the emotional video below.